Atlantis Cruises — All image credits courtesy of the respective cruises. Admit it, it’s been awhile since you’ve gone on a vacation, hasn’t it? If you haven’t been on a cruise before there’s never been a better time. Whether it’s fun in the sun, European Christmas Markets, glacier encounters or ancient ruins you’re after there’s definitely a cruise for you. Gone are the days when cruises were tailored just for the nuclear family unit or shirtless dancing (don’t worry, there’s still plenty of tea dance options if that’s what you’re after). Book a suite with your best friend, beau, or go stag and meet a ship full of new Judy’s from all over the world. We went through the hundreds of upcoming options to sail to Europe, the Caribbean, Asia and the Arctic circle and found some incredible voyages to new and trusted locations. 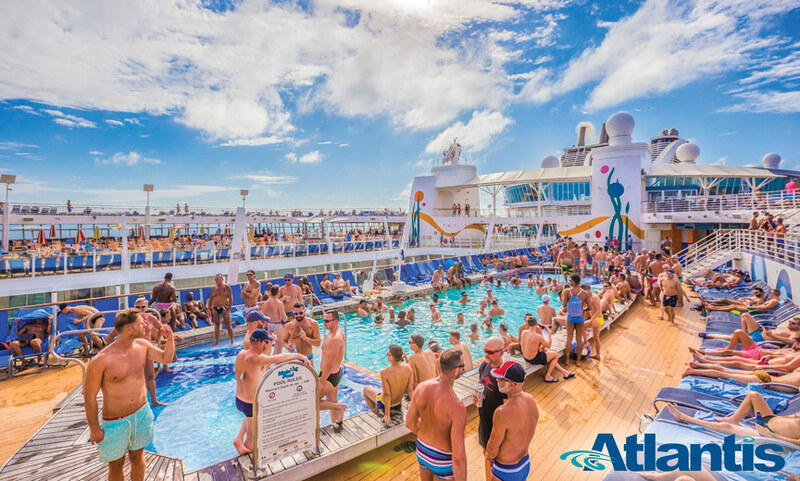 Europe’s Largest All-Gay Cruise… Ever, August 25th – September 1st, 2019, an opportunity to sail the best of Italy, Spain and France with 5,400 guys from around the world. Step off the Barcelona coast and onboard the epic Royal Caribbean Oasis of the Seas, one of the largest cruise ships in the world and get ready for all kinds of amazing experiences like the oceanside AquaTheater, Studio B ice rink (yes, an ice rink), zip lining experiences, the Broadway hit musical Cats, designer stores and more. The Oasis of the Seas features 17-decks with 29 loft suites and comfortable and spacious 2,700 staterooms. Step off the ship to explore Palma de Mallorca, Provence, Florence, Civitavecchia, Naples and the beautiful island of Capri. Prague & Danube River Cruise, August 11 – 20, 2019, a seven-night deluxe Danube riverboat cruise featuring two pre-cruise nights hotel accommodations during Prague Pride. 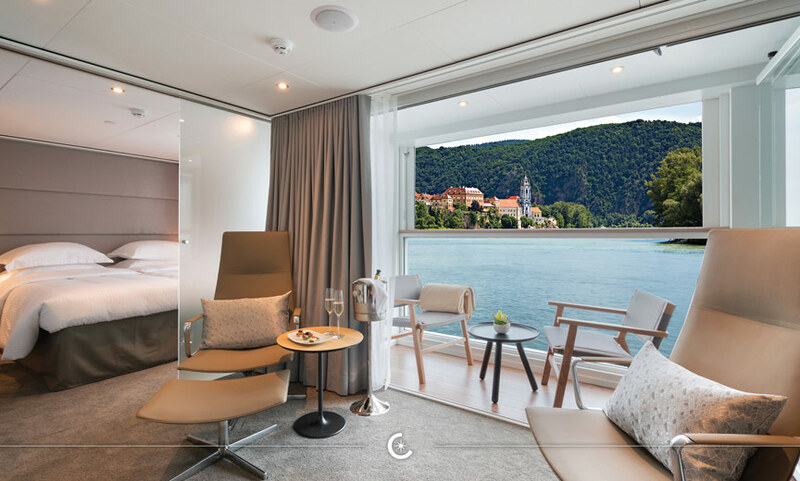 The gorgeous ship Amadeus Queen will bring guests along the Danube to Passau, Melk, Vienna, Bratislava and finally Budapest, one of the hottest destinations in Europe. Highlights include expeditions to Schonbrunn Palace, home to many of the Habsburg emperors, Prague’s Old Town Square with Astronomical Clock, Melk’s Benedictine Abbey, and a memorable farewell illuminations evening cruise in Budapest. Budapest to Bucharest Danube River Cruise, August 20-29, 2019, a deluxe seven-night Lower Danube riverboat cruise featuring Budapest, the “Iron Gates” and two post-cruise nights in Bucharest. With itinerary stops that feature five countries (Hungary, Croatia, Bulgaria, Serbia, and Romania) the cruise will venture through the Carpathian Mountains and to the Black Sea. Be the first of your friends to visit cities like Vukovar, Belgrade, Svishtov, and Harsova. Splendors of India & the Ganges River September 30 – October 12, 2019, a thirteen-day exploration kicks off at the Imperial Hotel New Delhi. The tour includes such destinations as Kolkata, Kalna, Matiari, Khushbagh, Mayapur, Jaipur and Agra. Visit the UNESCO World Heritage Sites of Humayun’s Tomb, inside the walls of the ancient Mughal capital of Old Delhi, Tour the Hazarduari Palace in Murshidabad, explore the fabled pink city of Jaipur and the legendary Taj Mahal. VACAYA Ptown Cruise on Celebrity Summit, sailing from August 22-18, 2019 from New York (Port Liberty) on Celebrity Summit, this seven-night cruise will make history as not only the largest all-gay cruise to ever sail to Ptown Carnival, but the largest ship to ever overnight in Provincetown. VACAYA Mexico Resort: VACAYA is going to reinvent the all-inclusive resort experience in conjunction with the gorgeous 5-star UNICO 20°87° Hotel Riviera Maya from October 27 – November 2, 2019. Together, this match made in heaven will take luxury to new places with an official gay takeover through Halloween and the Day of the Dead. Queer Eye for the Christmas Markets. You heard that correctly, VACAYA is heading to Europe with their seven and fourteen-night option beginning December 5, 2019. Get in the holiday spirit on a luxurious Emerald Star-Ship from Amsterdam to Budapest. Mulled wine, anyone? A Voyage Around Iceland: August 13 – 20, 2019, Source travelers will get a taste of one of the most gay-friendly destinations in the world. The trip, coinciding with Reykjavik’s Gay Pride celebration just before the cruise (August 8 – 11, 2019), will take guests in and around the “land of fire and ice” to explore the volcanoes, glaciers, geysers, waterfalls, fjords and a bit of gay culture (of course). The Star Breeze, an all-suite yacht, will travel to Reykjavik, Heimaey Island, Seydisfjordur, Akureyri, Isafjordur and more destinations to explore UNESCO World Heritage Sites, nature reserves, fjords, an art canyon, nature baths, and more. The Greek Islands Discovery: from August 24 – 31, 2019, guests board the Star Clipper and Star Flyer, each carrying 170 guests in total pampered comfort. Guest will start and finish their voyage in Athens and venture to Milos, Santorini, Bodrum (Turkey), Mykonos, Sifnos and Spetses and make treks to the Acropolis, a beach expedition in Milos, take a guided tour of the UNESCO site of Akrotiri, check out Halicarnassus (the location of one of the Seven Wonders of the World) the UNESCO site and mythical birthplace of Apollo, and more. 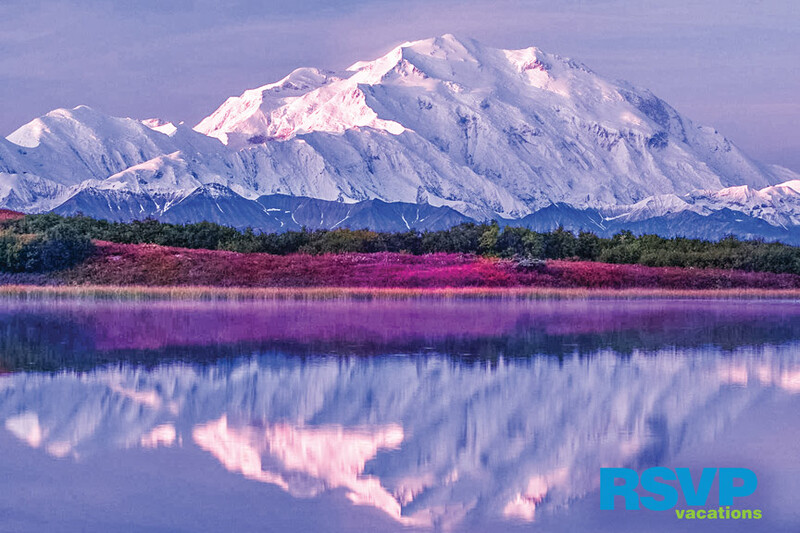 All-Gay RSVP Summer in Alaska Cruise, July 14 – 21, 2019, sailing from Seattle to the most majestic state of Alaska. Admit it, you’ve always wanted to live your Northern Exposure fantasy with 1900 new friends. Board Holland America Oosterdam, the ideal blend of modern and classic and get up close and personal with America’s 49th state. Take in mind blowing performances in the Mainstage, Queens Lounge and get up close and personal with performers in RSVP’s Piano Bar, Billboard Onboard. Leave your tank top in the room and twirl with the kweens at Lido Pool, home to RSVP’s Legendary T-Dances and parties. The cruise itself heads from Seattle to Juneau, allowing guests to take in the spectacular Mendenhall Glacier, Hubbard Glacier, the quaint Sitka, Ketchikan, and the picturesque Victoria, Canada. We’ll see you in Alaska! Tahitian Paradise Luxury, August 24 – August 31, 2019, take in “balmy days, sultry nights and islands that appear to float just above the breaking waves” on this seven-night itinerary with stops in Papeete, Tahiti; Huahine, Society Islands; Bora Bora, Society Islands; and Moorea, Society Islands. Accommodations for eight nights and seven days aboard Paul Gauguin Cruises’ ms Paul Gauguin ship, a six-star luxury ship with epic staterooms and gorgeous suites. Announced entertainment includes Teresa Trull, Barbara Higbie, Gina Yashere, and the popular DJ Rockaway. Gems of the Italian & French Riviera Luxury Cruise, October 5 – 12, 2019, the best of the Mediterranean expedition featuring stops in Rome, Sorrento, Florence, Portovenere, Portofino and Monte Carlo. Learn more. Cuba & Caribbean Cruise, January 22 – 29, 2020 Learn more. Out On The Danube: from September 21 – 28, 2019 R Family Vacations teams up with U by Uniworld Boutique River Cruise Collection for an all-inclusive, all-adult LGBT vacation on the Danube River. Let your hair down for the departure in Munich (Regensburg) with stops in Passau, Linz, Melk, Wachau Valley, Durnstein, Vienna, Bratislava, and Budapest. Onboard the ship, indulge in mixology classes, cooking classes, dance parties, cabaret singers, LGBT comedy and more! Hawaiian Islands Cruise: from May 9 – 16, 2020 check into the NCL’s Pride of America, the only cruise ship that sails round trip from Honolulu year-round. Join a group of sixty and go island hopping, whale watching, volcano exploring and more! Depart from Honolulu, Oahu and travel to Kahului, Maui; Hilo, Hawaii; Kona, Hawaii; Nawiliwili, Kauai before returning to Honolulu. 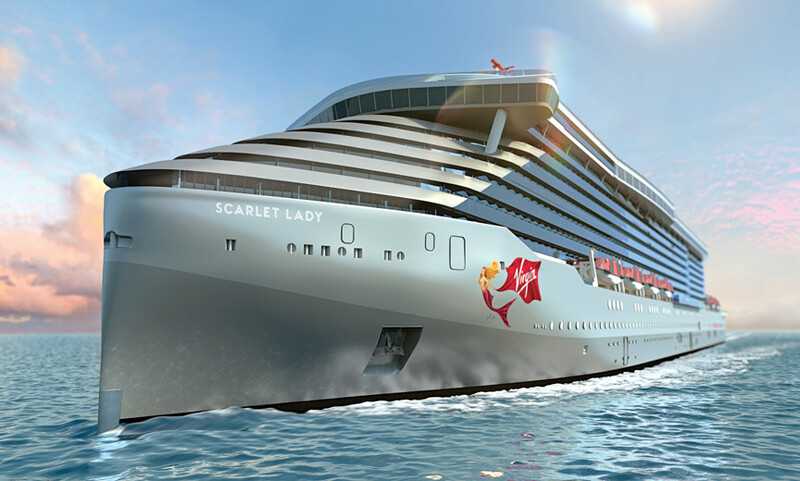 Scarlet Lady, the company’s first ship, is officially open for bookings with voyages starting April 1. Havana After Dark, the inaugural voyage. Depart Miami for the vacation you’ve been waiting for. The ship stops at a private club (the Beach Club) in Bimini, Bahamas before stopping in Havana. Take in the scenic back alleyways of Pata Vieja, the artists and bohemian bars of Cayo Hueso or chill with the locals outside of the Malecon. Sir Richard Branson’s Birthday Voyage, departing July 15, 2020. Join Sir Richard Branson and his celebrity friends and fellow sailors for a four-night Havana After Dark voyage. Cabins are available starting at $3,100. Mayan Sol, a five night adventure picking up the anchor in Miami on Friday, April 10 will sail to the unexplored shores of the Yucatan Peninsula. Venture to Costa Maya, the Beach Club in Bimini with an unforgettable stop to explore ancient ruins.